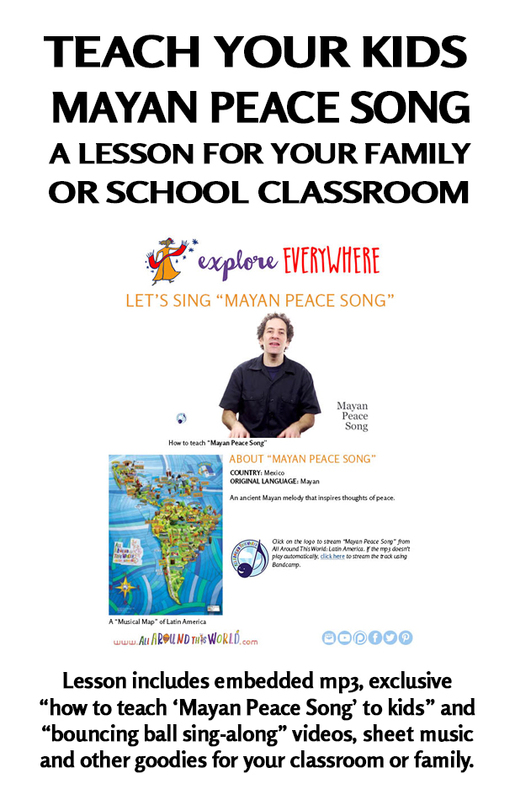 Mayan culture is so ancient that most Mayan music has been lost, but contemporary interpretations of potentially ancient melodies like the one used in this Mayan folk song still exist. Researchers believe that music was very important in Mayan culture, especially in funeral ceremonies, during which it is believed that drummers and flute players would follow the casket of well-respected women, sealing their instruments into the burial tomb at the end of the march. Music also apparently was part of ceremonies and celebrations involving war. Archaeologists have found drums and whistles in the houses of many “lower class” Mayans, suggesting that in Mayan culture music was not just reserved for the elite. A scratchy version of this tune, listed as “Song of Peace, Chalchuitan,” appears on the Smithsonian Folkways release, “Modern Mayan: The Indian Music of Chiapas, Mexico – Vol. 1 . Listen to the original on the Smithsonian Folkways release, "Modern Mayan: The Indian Music of Chiapas, Mexico - Vol. 1."